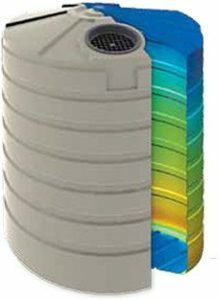 Bushmans is one of Australia’s oldest and most experienced polyethylene tank manufacturers with over 30 years experience in manufacturing poly tanks that are installed in some of Australia’s harshest conditions. Bushmans has introduced a new range of tanks call Sun Tough Tanks which are made from Bushmans own Sunsmart® raw material. This new technology provides exceptional protection from the sun, as well as improved manufacturing, resulting in tanks that last longer. This new Sunsmart® technology coupled with Bushmans advanced manufacturing and layering technologies is part of Bushmans ongoing quest to improve our products. Fittings are installed onsite which allows outlet and overflow to be placed in a position that suits the customers individual installation and needs. Additional fittings such as water diverters, pumps and flex hose kits are available. All Bushmans factories are accredited to manufacture tanks to the tough AS/NZS4766 quality standard which demonstrates our manufacturing facilities are consistently able to build tanks to the highest quality. There are some states that require an accredited tank to receive a rebate.